Built by William Edwards, a self taught mason and minister. 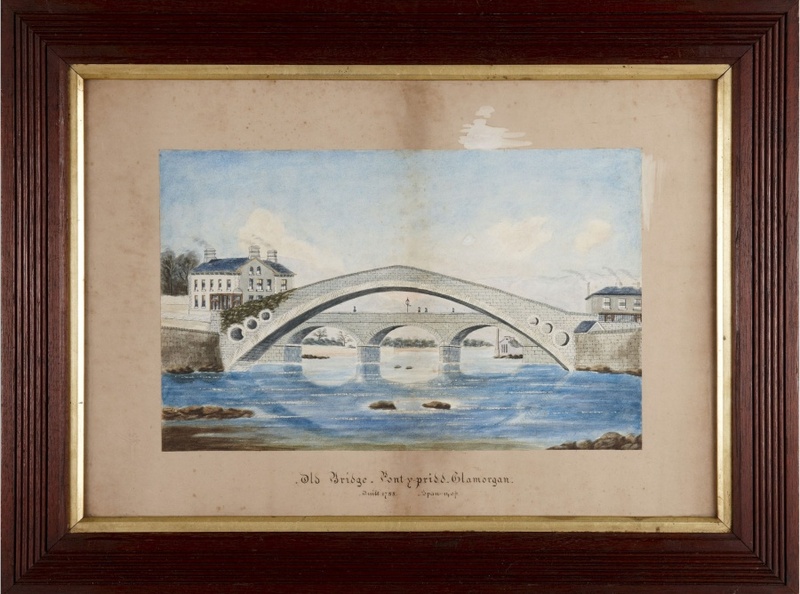 When completed in 1756 the new bridge at Pontypridd was the largest single span bridge in Europe and one of the largest bridges in the world. 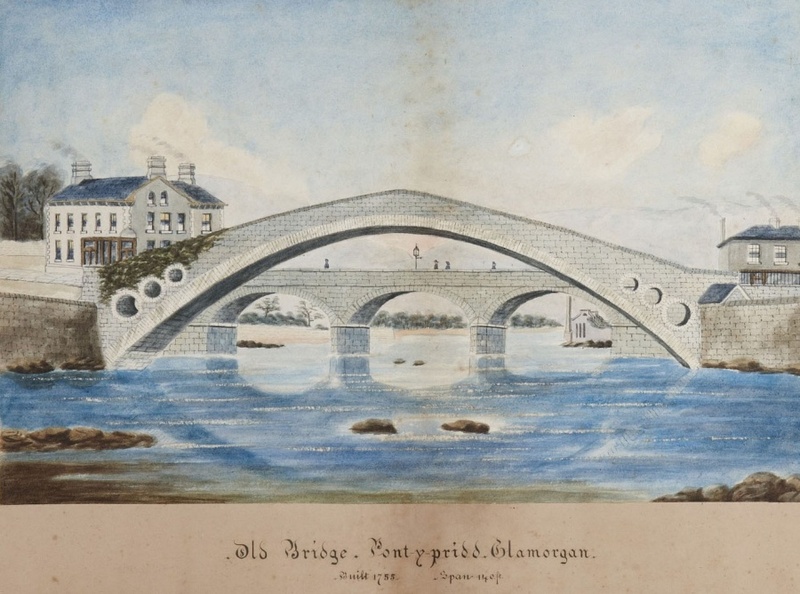 After three previous attempts, the final successful design included three holes in each side of the bridge which reduced the pressure and weight on the crown of the bridge. The bridge still stands today but a new less steep bridge was built alongside it in 1857. The bridge attracted the attention of many artists and there are many paintings and engravings of the bridge including work by Richard Wilson and JMW Turner. See The Visual Culture of Wales-Industrial Society by Peter Lord University of Wales Press Cardiff 1998 for further discussion.